It seems that the rustic and natural look is still on trend for weddings this year. Some of our brides like just natural tones, and some like pastel tones mixed with a bit of brown kraft card and lace. There's one thing for sure though, you can't have a rustic and natural wedding without some hessian! 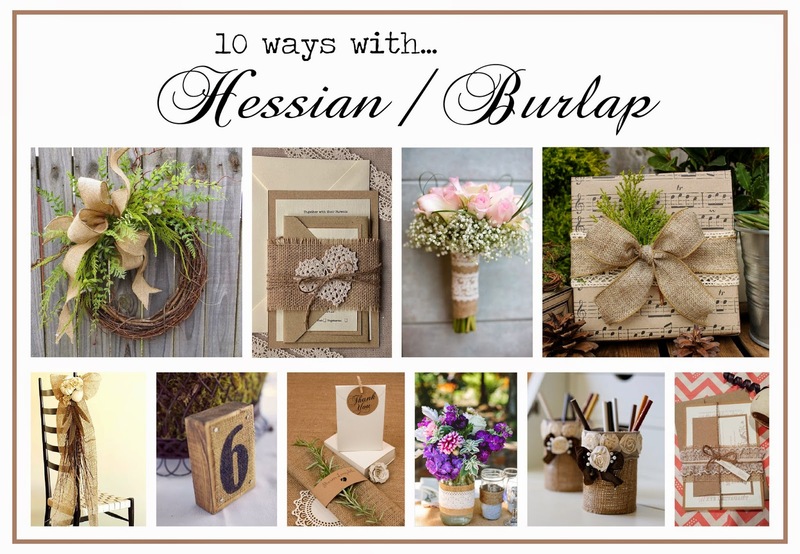 ( or burlap as our American friends call it!). What will you decorate with yours?